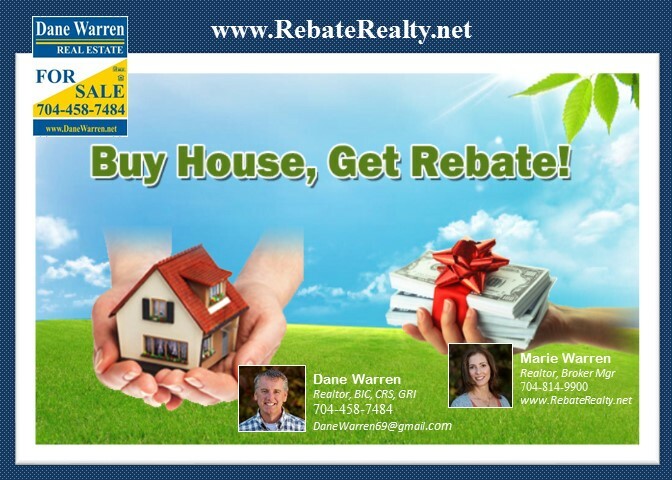 Dane Warren 1.5% Cash Back to buyers and 3.5% to Sellers. Full Service MLS access. 2000 closings, 20 years in Business. Rebate addendum for homebuyer. Highgate homes for sale, Myers park homes for sale, Highgrove homes for sale. Firethorne homes listed.